Trust your next project to manufacturers that care about the final results. At Alpine Elastomer Products, LLC, we approach each project with quality and integrity in mind. That’s how we developed a reputation for creating fine plastic and rubber products. Now our clients turn to us when they need highly specific orders fulfilled. Reach out today to find out more about the way we handle rubber and plastic manufacturing in Boonton, NJ. No matter how specific your manufacturing needs are, Alpine Elastomer Products, LLC is well-equipped to fulfill them using a variety of high-precision methods and equipment. Let us know what kind of plastic or rubber products your need for your project, and we’ll create them exactly according to your specifications. You’ll always receive what you asked for. Rubber and plastic injection molding are our specialties. That’s why our clients trust us with fulfilling their most challenging and specific orders. To consistently deliver high-quality results, we partner with ISO-certified factories. This enables us to diversify our offers, fill orders more quickly, and forge relationships that result in more benefits for our customers..
Quality is an important facet of any production process. 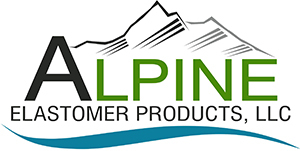 That’s why Alpine Elastomer Products, LLC guarantees your plastic and rubber parts will be manufactured with plenty of precision and attention to detail. After all, your products are your livelihood, and we want to do right by them. Trust us with your plastic and rubber products manufacturing and rest easy knowing you’ll receive a finished product that is polished and mistake-free. When you trust our company with your order, you’re partnering with experts that serve many of the largest names in retail. Over the years, we’ve built a reputation for quality and dependability by providing high-end rubber and plastic manufacturing services for companies like Target, Amtek, and Curtis Instruments. You’ll join the ranks of these satisfied clients when you place an order with our capable staff. Additionally, we strive to treat our partner factories with the respect and appreciation they deserve - regardless of their location. We strongly believe that happy employees are the most productive. Every rubber or plastic product that comes from our factories can be enjoyed guilt-free, which means you and your clients can feel good about the final results. Contact us today to find out more about our approach to rubber and plastic manufacturing. We serve customers nationwide from our headquarters in Boonton, New Jersey.